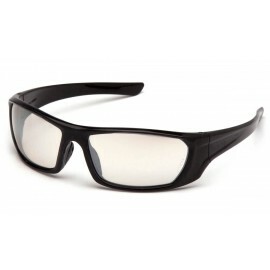 The Wiley X Brick sun glasses are the largest design in the Climate ControlTM Series with a squared ocular flair. T-Peg docking system adds an elastic strap to every model and the multi-layer Facial Cavity Seal blocks wind, debris, and annoying glare. Great for day time activities where protection is needed. Plus it's just a cool looking pair of functional shades. Meets ANSI Z87.1-2003 High Velocity Safety Standards.